The popular diet, supplemented with olive oil or nuts, helped stave off cognitive decline. The study, published online Monday in JAMA Internal Medicine, was unusual in that it employed rigorous scientific practices to test the effect of the diet on health. Most previous evidence showing benefits from the Mediterranean diet was gathered through observational studies, a less conclusive research technique. “This was the first clinical, randomized study using a dietary pattern for good health,” said Emilio Ros, who led the study at Hospital Clinic, part of the University of Barcelona in Spain. Data gathered from previous observational studies suggested that adhering to a Mediterranean-type diet related to better cognitive function and a reduced risk of dementia, but observational studies have limitations, he said. “This clinical trial removes the bias and provides first-level evidence,” said Dr. Ros, director of the lipid clinic at Hospital Clinic’s endocrinology department. Jane Cerhan, a clinical neuropsychologist at the Mayo Clinic in Rochester, Minn., who wasn’t involved in the research, said clinical studies of age-related cognitive decline are needed in regard to diet, “which is why this study is an extra good one, because of its size and randomized design.” However, she said: “The changes observed in cognition were very small and didn’t actually show that those diets improved cognition, they just showed less decline.” Based on the research, she said, people shouldn’t rush out to buy lots of olive oil and nut, but she encourages they follow a balanced diet that includes healthy foods such as these. 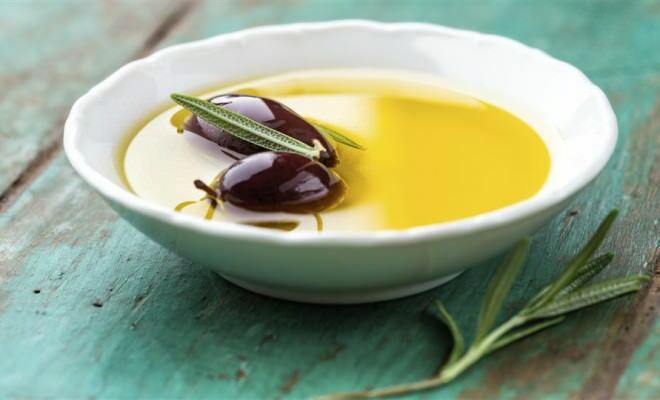 In the latest study, Dr. Ros said participants were given 1 liter of olive oil per week, but that amount was intended for their entire household. He recommends that, to decrease age-related cognitive delay, people should add 5 tablespoons of olive oil as well as a handful of nuts per day into their diet. The study was funded by the Spanish government. Dr. Ros has previously received research funding from the California Walnut Commission and is a nonpaid member of the group’s scientific advisory committee, the study said.